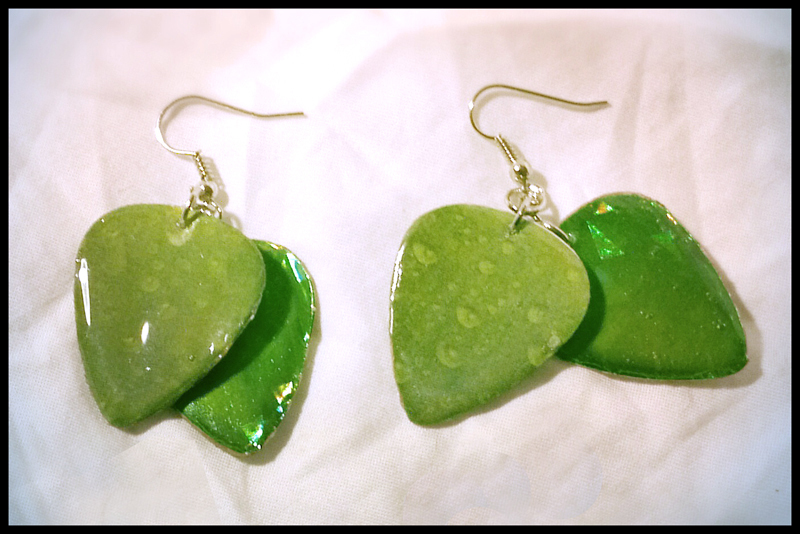 Green Leaf Guitar Pick Earrings! Eye catching green guitar pick earrings. Guitar pick shapes are shiny green leaves with dew drops and a shiny green pick.